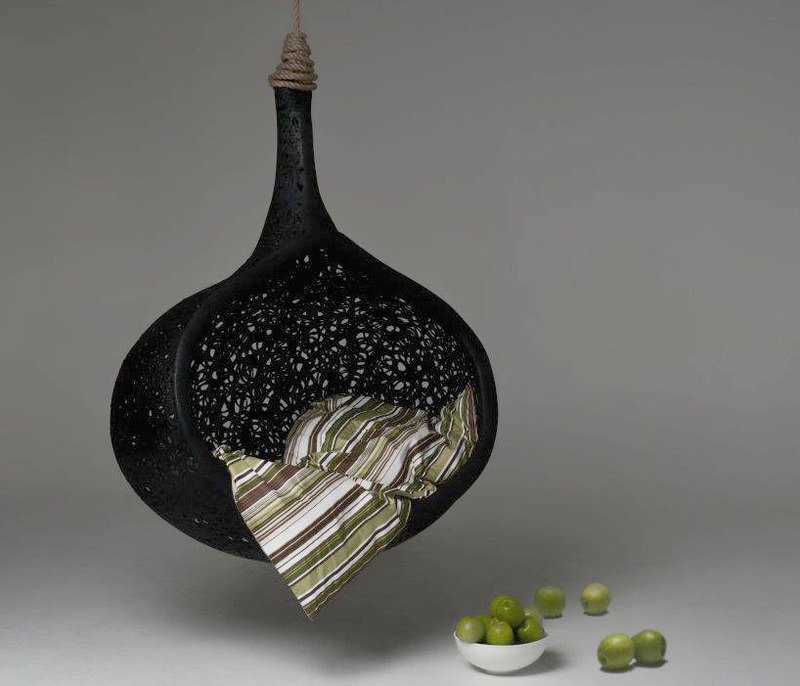 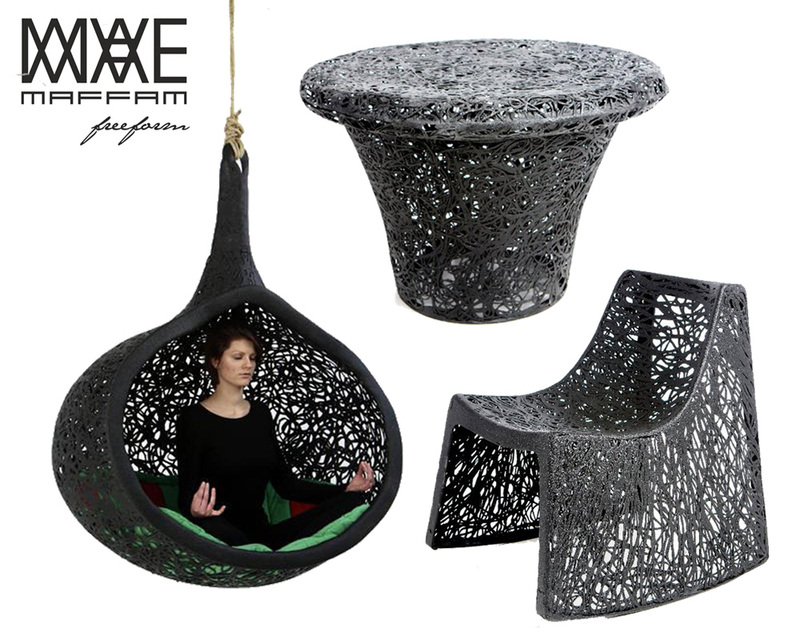 The Manu series of products from Maffam Freeform, a workshop of the Latvian interior designer Raimonds Cirulis, is made from Volcanic rock (basalt) fibers bonded with eco-resins. Each item is one-of-a-kind, practical, and 100% handmade. 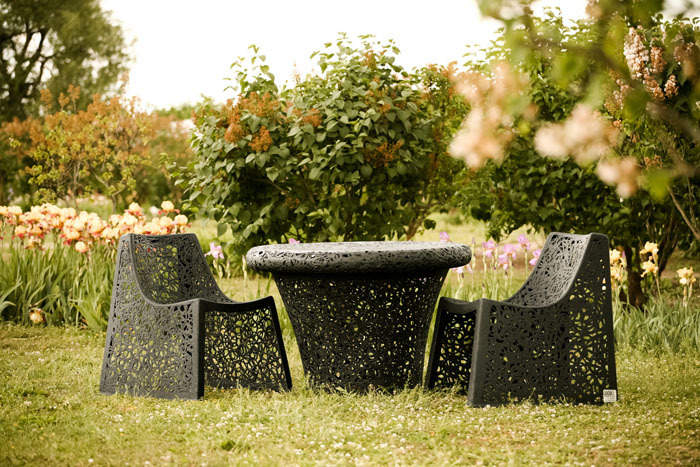 The furniture collection is designed for the outdoors but can also be used in large indoor spaces. 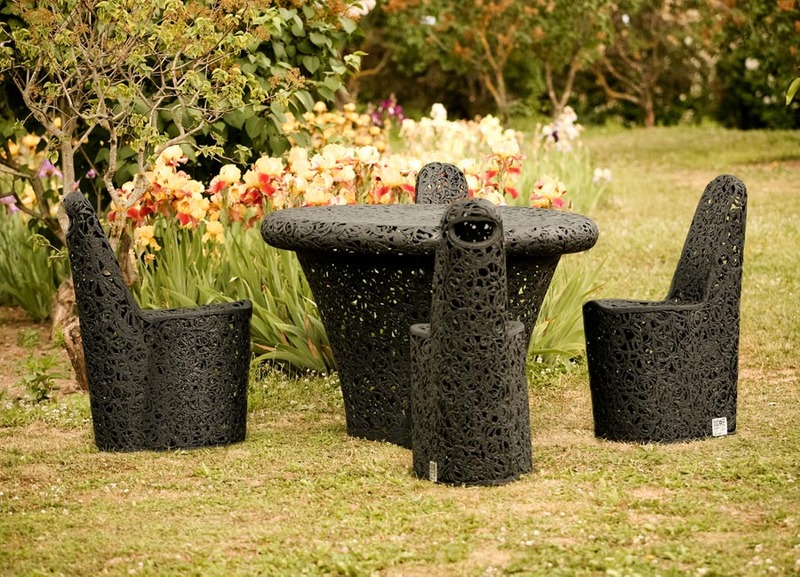 The seats, tables and other products in the collection are waterproof, sturdy, environmentally friendly, unbelievably light, and distinctly innovative due to the properties of basalt. 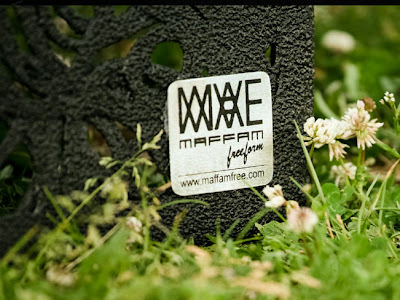 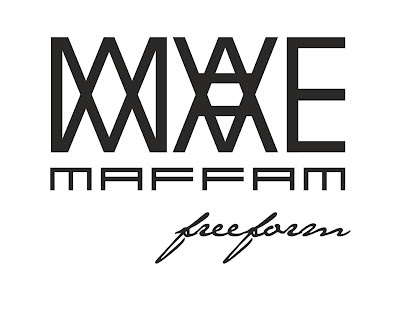 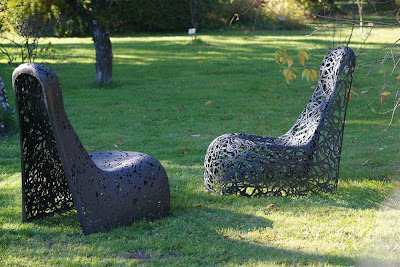 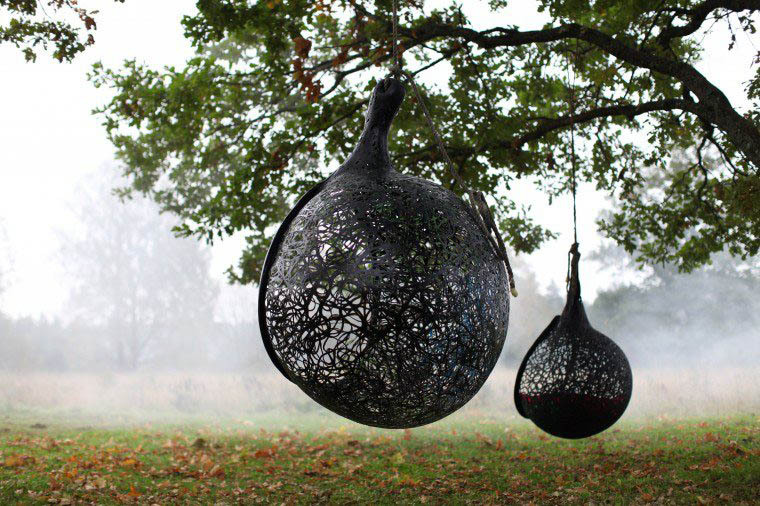 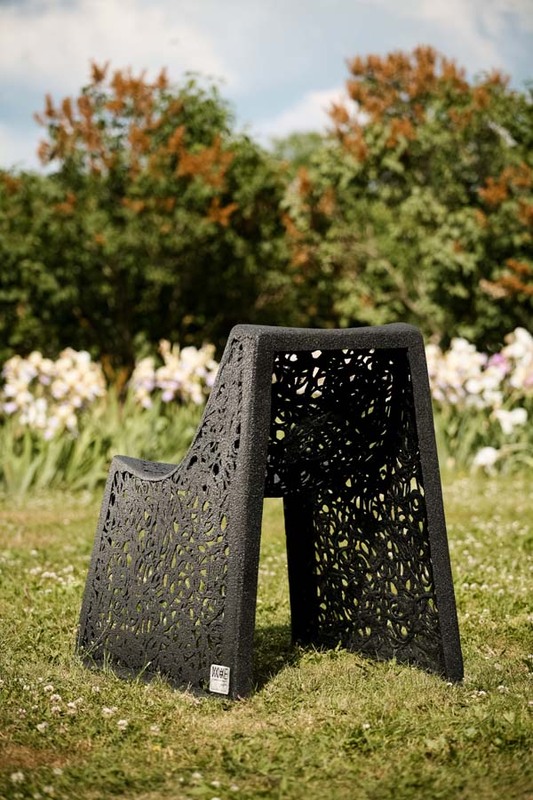 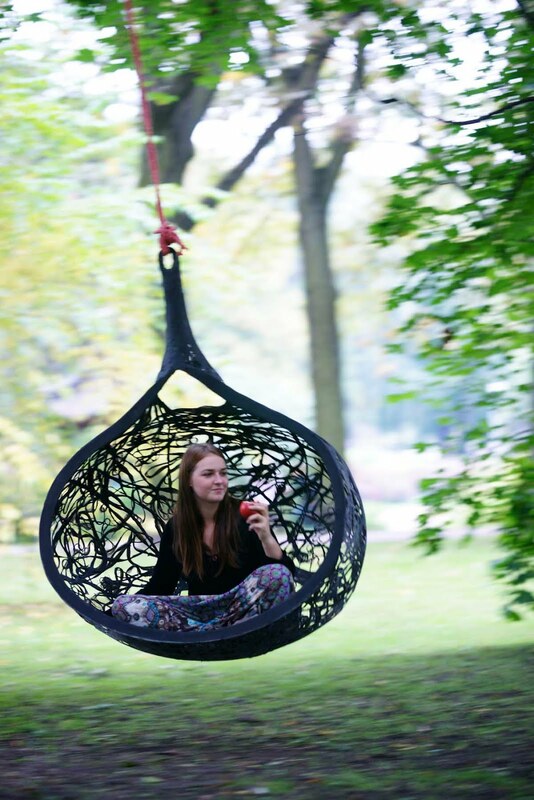 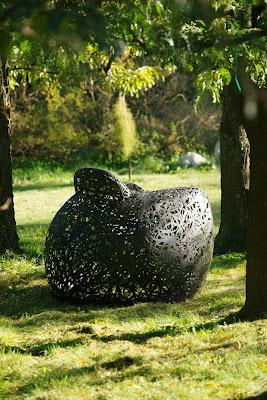 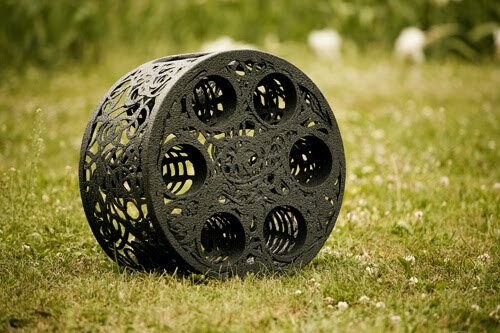 The company, Maffram Freeform, offers hand-made furniture for garden or terraces, as well as stylish design objects. "I wanted to find and think of something unique. 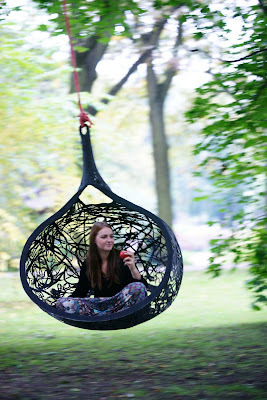 Something new and I did it," says designer Raimonds Cirulis. 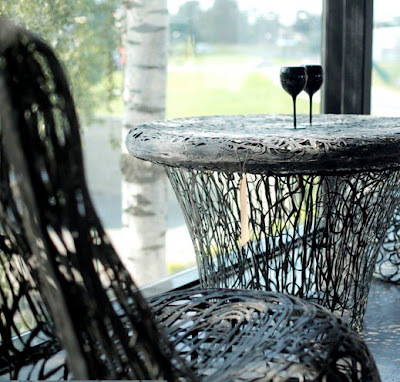 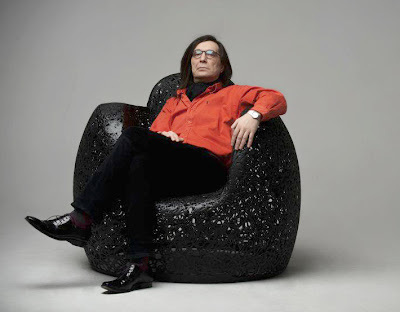 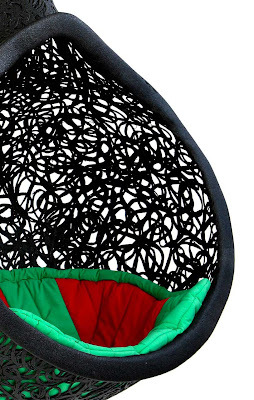 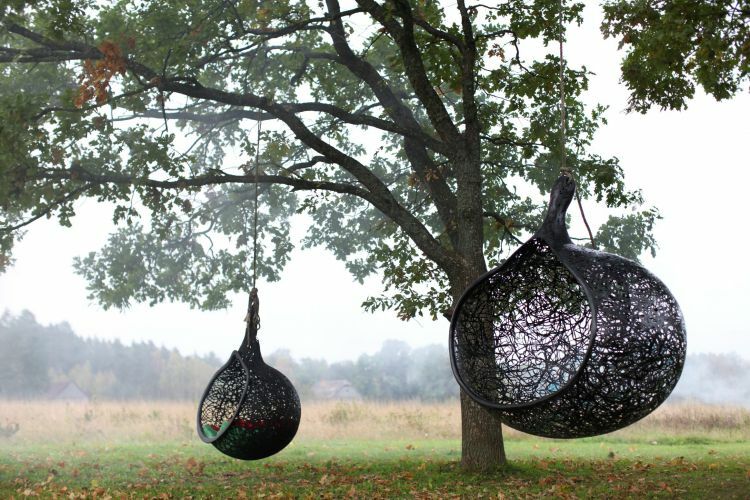 He is the first person in the world to make furniture from basalt fibers. 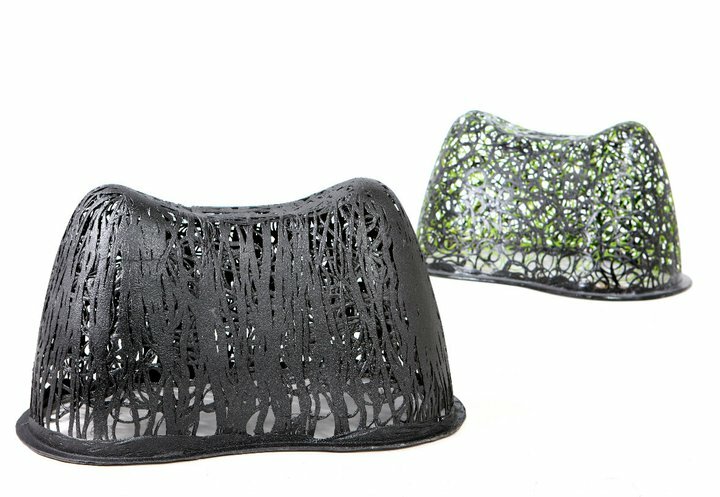 Uniqueness lies in two important aspects. 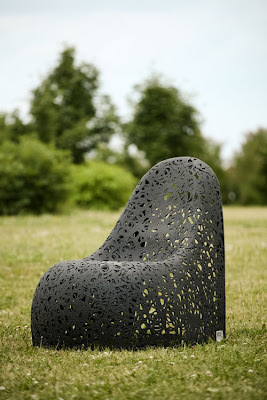 Firstly, basalt absorbs all kinds of harmful rays - ultraviolet, radio, electromagnetic, mobile phone, even the earth gravitational radiation and X-rays, emphasizes the designer. 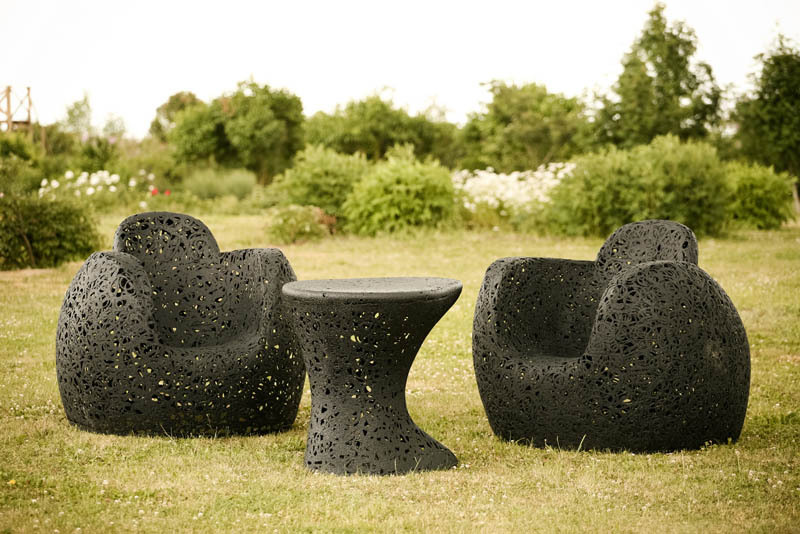 So people are protected when they are relaxing in basalt furniture from many things which can negatively affect them. Secondly, basalt is unusually durable - even stronger than fiberglass. 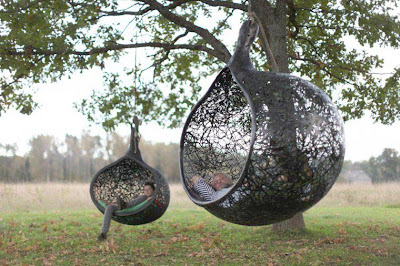 Therefore the furniture will last for generations. 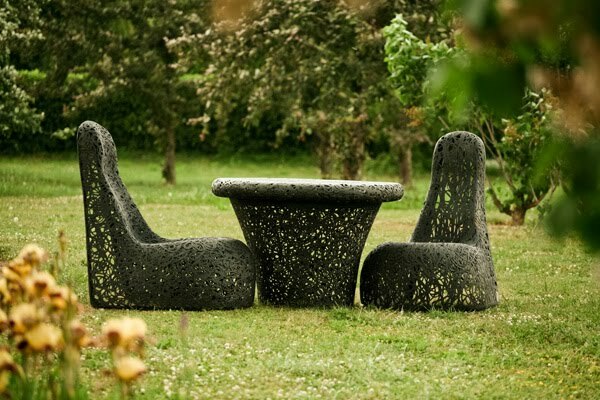 "This furniture not only takes a practical, utilitarian function, but with that comes story of its unique design and mysterious volcanic origin. 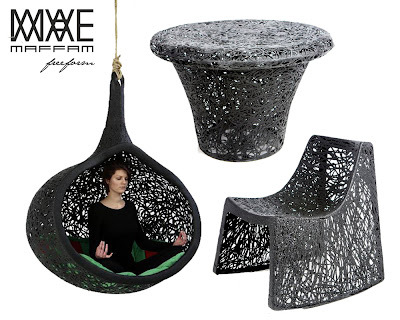 Every product have it’s personality," said SIA "Maffam Freeform" project manager Karlis Parsonoks. The company focuses on three main customer groups - hotel, leisure center, restaurant owners, people who are able to pay for a unique design, interior design showrooms.